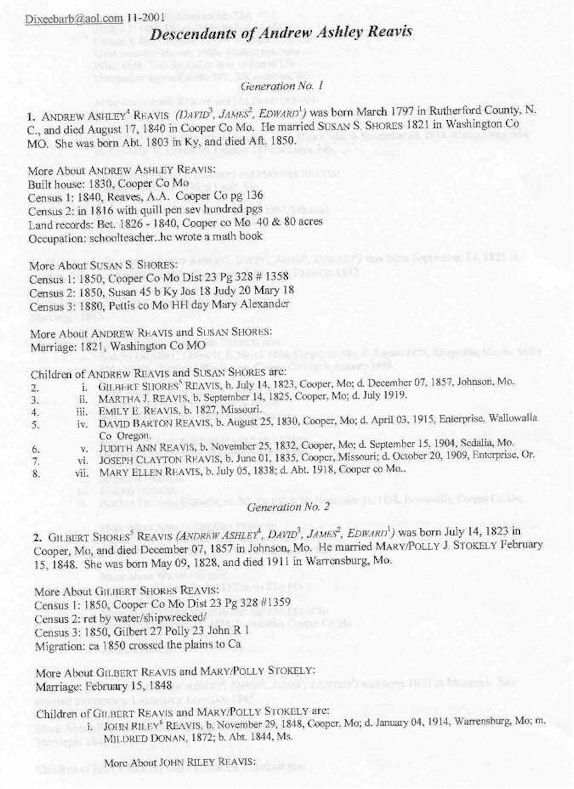 These are pages from "Descendants of the Revis-Reavis Family In America"
contact Barbara at the address listed above. May 1841, so he died between Feb-May 1841! All rights reserved! Commercial use of material within this site is strictly prohibited!